This book deals with the research of vortex structures generated by a plasma actuator. Plasma actuators belong to devices that can be used for active flow control. 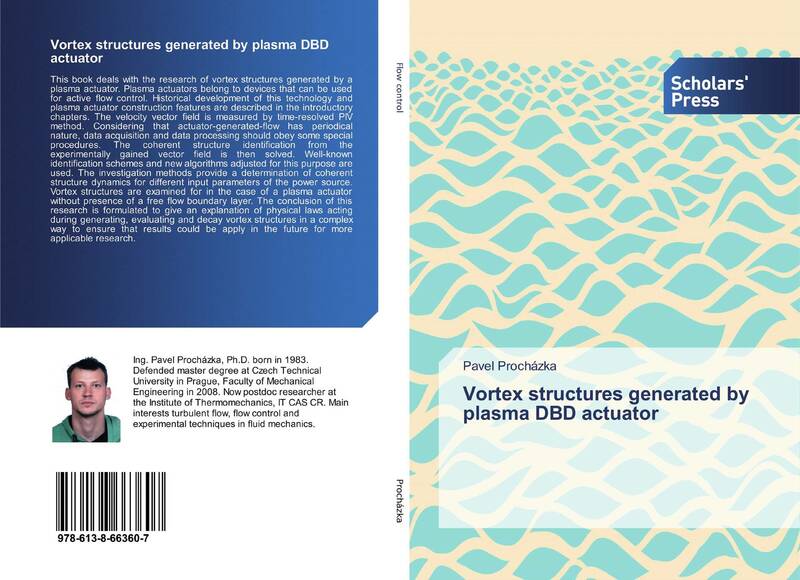 Historical development of this technology and plasma actuator construction features are described in the introductory chapters. The velocity vector field is measured by time-resolved PIV method. Considering that actuator-generated-flow has periodical nature, data acquisition and data processing should obey some special procedures. The coherent structure identification from the experimentally gained vector field is then solved. Well-known identification schemes and new algorithms adjusted for this purpose are used. The investigation methods provide a determination of coherent structure dynamics for different input parameters of the power source. Vortex structures are examined for in the case of a plasma actuator without presence of a free flow boundary layer. The conclusion of this research is formulated to give an explanation of physical laws acting during generating, evaluating and decay vortex structures in a complex way to ensure that results could be apply in the future for more applicable research.